So if you haven’t read part 1, you’ll definitely want to jump over there and read that first. So first, your team members need to be engaged with God. They don’t need to be spiritual giants, and they definitely don’t need to be perfect, but they do need to be in process. That is, they’re actively pursuing a relationship with Jesus. And then your team members need to be engaging with you, the leader. There’s a respect and a healthy submission that needs to take place. Also, we talked about how you as a leader need to invite and embrace healthy, ideological conflict. We’re going to have differences and issues with each other. So let’s talk about them openly and in a healthy way. 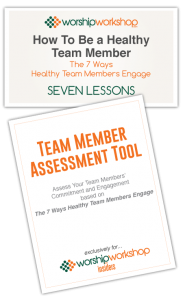 A healthy team is comprised of people who engage with each other. And they do that a few ways. To enter into conflict with. Healthy conflict isn’t just necessary between the team member and the leader, but also between team members. Most team members don’t know how to do this, so you need to teach them and model what healthy ideological conflict looks like. Now, not everyone on a worship team is going to be BFFs with each other. But a team has to have chemistry. If a team member is toxic in some way, whether by her attitude or actions, the chemistry and engagement level of the team falls apart. 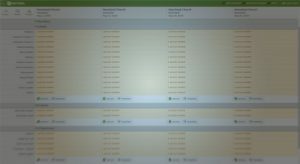 I had a team member once who completely changed the feel of rehearsals because of his attitude. He was a wet blanket thrown over a team that normally had a blast at rehearsal. Eventually, he decided to step down from the team. 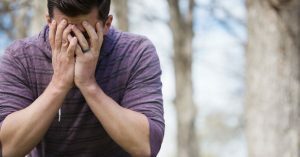 I believe part of the decision was the fact that he KNEW he wasn’t connected. People treated him well and would have welcomed him to the camaraderie. But he just wouldn’t connect. So, when you have team members who just don’t fit—the chemistry isn’t there—that’s not something to ignore. It doesn’t mean you move them off the team, but it’s something you’ll need to address sooner than later. It’s a mechanical term, but it’s a great picture for a team. Just like the different gears of a machine working together perfectly to create power, team members do the same. Each person is different, bringing different skills, gifts, and personality types into the mix. But when they work together, they produce something greater than the sum of the parts. It’s so easy to see this in a musical setting with the different instruments, voices, and techs bringing together a musical offering of worship. But even going beyond the music, each of your team member’s unique mix of personality, strengths, and gifting can propel your team forward if it’s complemented by others’ unique mix. The next area of engagement takes into account that our team members aren’t just followers, but they themselves are leaders. And so they need to engage with whom they’re leading: the congregation. 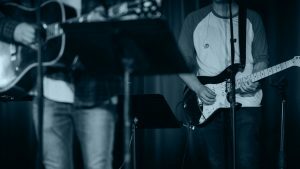 The worship team has a two-fold ministry: we minister to God and people. We minister and serve God through worshiping him. Through that worship, we model worship for the gathered assembly of believers. But our service to the congregation doesn’t end there. We aren’t just playing the worship-equivalent of Simon Says. To occupy the attention of. To help people enter into worship, there is an element of active leadership. To do that, we need to engage the congregation verbally, musically, and visually. 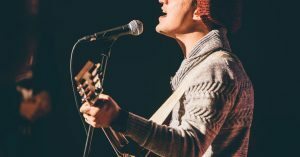 Will a stoic, statue-like singer encourage others into whole-hearted worship? Will a sober-faced band member with his head buried in music stand invite people to celebrate? No. Great worship team members love and serve the congregation by confidently engaging them during worship. Great worship team members love and serve the congregation by confidently engaging them during worship. This platform leadership is a BIG area of engagement that team members never fully realize. And often it’s because we as leaders don’t completely grasp the weight of our visual leadership from the platform. Now, the next area of engagement is going to sound pretty similar to this one, but it’s different. It’s all about how your team members engage with the church. 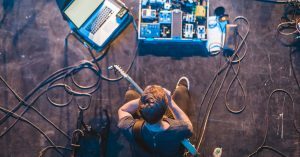 You don’t want your team members to view their service on the worship team as a “gig.” You want them to be committed to the vision and ministry of the church. To bind, as by pledge, promise, contract, or oath. A team member should have both a covenant type of commitment to the local church AND have a sense of being part of it—that is, they’re intertwined with other believers of your local body. Would you be a part of this church even if you weren’t a part of the worship ministry? So what does “engaged with the church” look like? It means they are “all in.” This church is their home. They are connected with it and appropriately submitted to the authority of the leadership. It doesn’t mean that they will never disagree with leadership or church policy. But it does mean that they won’t use that disagreement to stir up dissension and disunity. Any disagreements with the church leadership should be handled appropriately in the spirit of Matthew 18. And that’s something you can help teach them. So what are some indicators that your team members are engaged with your church? Do they serve anywhere else besides the worship ministry. If not, why? And by the way, the answer doesn’t have to be yes. Some people are in a season of life with their jobs or their families (young children, etc.) that doesn’t allow for serving in multiple ministries at the church. 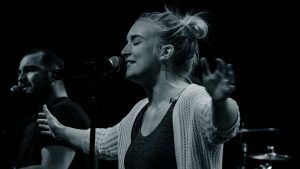 But a great indicator of connection is a commitment to other areas of the church besides the worship team. Are they an official member, or working to become a member of your church? If not, why? Your church may not have formal membership. But what is it in your church that indicates someone is “all in”? Are they an active part of a small group or some other discipling relationship within your church? If not, why? 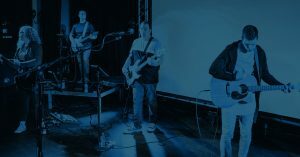 Bottomline is this: being a fully engaged worship team member also means being a fully committed part of the local church. Now, at this point, all of the ways team members “engage” were with others—God, leaders, other team members, and the congregation. But there are two more ways that we see healthy team members engaging. And we’ll dive into those in Part Three. We’ve got a training series & team member assessment available for FREE atWorshipWorkshop.com.